Amazon has made its Echo heard in Australia, giving Google’s Home speakers some competition, and now it’s back for round two with even more. Smart speakers are really beginning to take over, and there’s little reason why: offering music, a microphone, and a gateway to controlling your home with only your voice, they can make an impact very quickly. Australians also have quite a bit of choice here, too, with a few speakers from Google, one from Apple, and a few from Amazon, and that last one is set to expand even more in October, as Amazon adds a few more to its long list, giving more options for people keen on having smart speakers in their life. And that starts with Amazon’s Echo Dot, the tiny hockey puck of a speaker that wasn’t much of a speaker when it was released last year, but was definitely a great little microphone addition to a home that wanted an Amazon Alexa-enabled microphone in parts for varying reasons. Maybe they wanted to have a microphone in the living room to control the rest of the home, or maybe they had a Sonos system they needed to control; the Amazon Echo Dot is a tiny microphone-equipped smart speaker, and this year, it reportedly sounds better. Amazon says it now plays music louder and richer, and yet is still very compact, and will be found at the lowest price of the bunch, hitting Australian stores and the Amazon website for $79 locally. Next up is the Echo Plus, the big Amazon Echo speaker. You may remember there were two of these last year, the standard Echo and the bigger Echo Plus. Well this year, the Echo stays the same, while the Echo Plus is upgraded, adding a Zigbee smart home hub inside, meaning it will automatically pick up on compatible smart home devices when they’re plugged in and switched on. In Australia, Zigbee devices include switches, locks, and compatible lights, such as the Philips Hue lights that have been in the market for a while. When IKEA launches its smart lighting, it will be Zigbee compatible, meaning the moment you plug it in, it should be picked up by the Amazon Echo Plus, ready to be used simply by talking to Alexa. 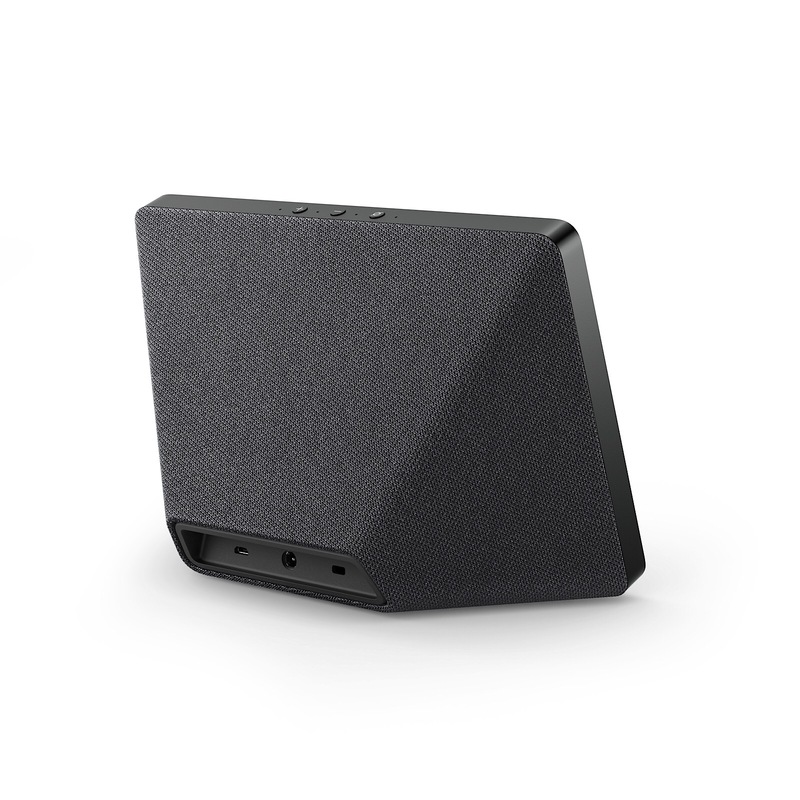 The Echo Plus also gains a bigger woofer and more space in the back to improve bass, with the price still sitting at $229 locally. There’s also a new subwoofer if you like bigger sound, offering the $199 wireless Amazon Echo Sub to give that .1 to an Alexa speaker and up the bass. If you’ve ever complained the bass just isn’t enough, this will add it, and even respond to the phrase “Hey Alexa, turn up the bass”. Finally, there’s an Echo to let you see the world when you ask the Alexa platform a question, as the Echo Show is added to the Amazon’s screen-based choices. You may recall that earlier in the year, Amazon released a small alarm clock-styled device, offering a microphone, speaker, and a screen. 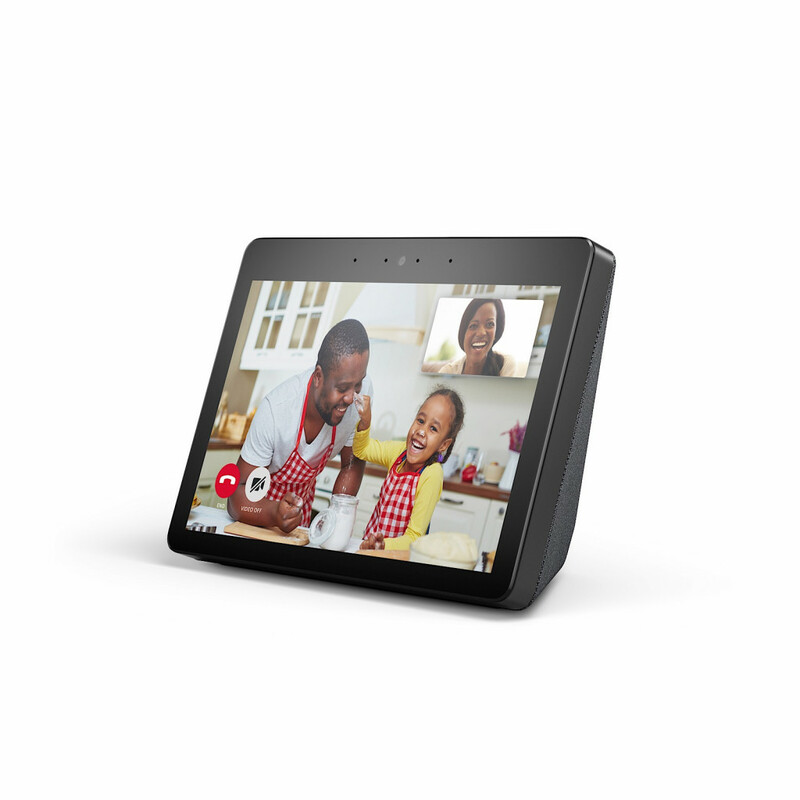 Called the Echo Spot, it was basically an Echo with a screen, allowing you to talk to Alexa and see the results, including a bit of video calling if you needed that, too. This year, the $199 Echo Spot is joined by the $349 Echo Show, a 10 inch screen that includes a speaker system and that same Zigbee smart home hub from this year’s Echo Plus. The idea here is that Amazon will show you information as opposed to mere telling you it, with news, weather, a shopping list, and more found here, and it’s a touchscreen as well. The Amazon Echo Show includes a built-in web browser, so you can surf the web using Firefox from the screen, and the connector skills that work with the Alexa platform work here, such as checking when a bill is due or playing stories for the kids, meaning some of these things can have a visual presence, not just one called out to you. “Customers tell us they love the convenience of being able to ask Alexa to show them things,” said Tom Taylor, Senior Vice President of Amazon Alexa. “Today, we’re making the voice-first, visual Echo Show experience better in every way by adding even more experiences to delight our customers—a dynamic and vivid display makes watching videos even more enjoyable, new speakers for music, simple set-up and control of smart home devices, Skype calling to friends and family, and all-new visual features,” he said. Amazon’s Echo Show is the most pricey of the bunch, set to arrive in Australia in October from JB HiFi, Officeworks, and the Amazon online store for $349 with a Philips Hue lightbulb. And while Amazon is talking up new Alexa-enabled smart products for release in Australia, the event launching these speakers in America also showcased a bunch of things we’re not going to see, at least not yet. We’re not shocked that Australia won’t see all of these upon release, but give Amazon enough time, and devices like the Smart Plugs and Link Amp could just see local release, once they pass certification with the relevant folks. We’ll let you know if and when that happens though, so keep checking here.